When a citizen is under a threat of maximum possible actions by a group of thugs, the state must make sure to protect its peaceful citizens against the potential criminals. After all, protecting citizens is one of the primary responsibility of any modern state. In the past, we have witnessed extremely painful cases and we can’t just shut our eyes this time, let the worst happen and regret it afterwards. It is time to break out of the endless cycle of violence against peaceful citizens. 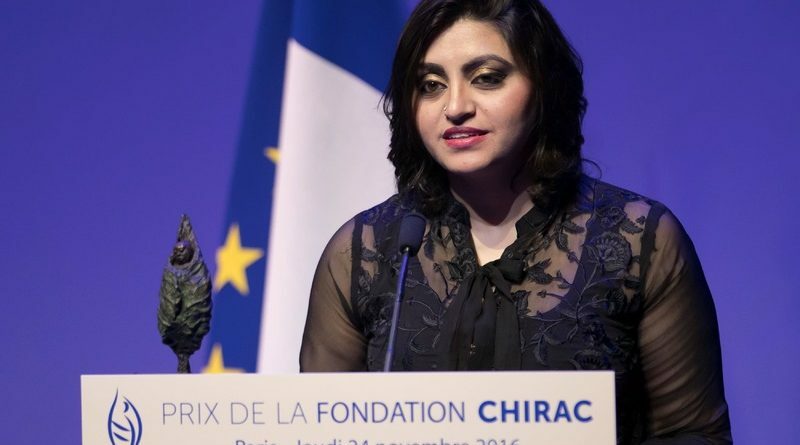 Gulalai Ismail, a women’s rights activist and a critic of social injustice, is currently facing intimidation and threats to her life. Her video, in which she tried to explain how outdated cultural practices minimize and restrict women’s role in the development of a healthy and progressive society, was made viral for evil gains and misinterpreted to provoke a mob against her. Gulalai Ismail is under social media bullying by a group of well-organized thugs for the last few months. The bullies who are also running an organized campaign to provoke people against her and get her killed by the mob- seems to have links with Mashal Khan killers. 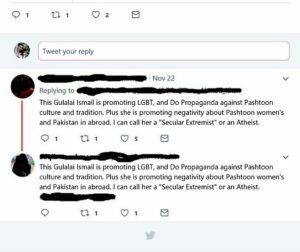 Identical Twitter messages inciting violence against Gulalai were posted on her video, pointing to an organized campaign against her. 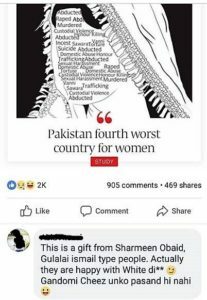 A study shows that Pakistan is the fourth worst country for women. A message posted under an article showcasing this study shows the same pattern. 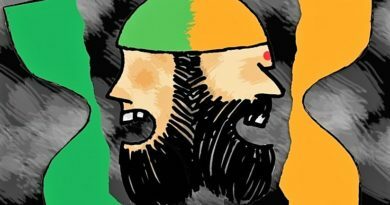 The protestors, who appear to be mostly youth and students, were chanting “Pak Army Zindabad” and “Desi liberals Murdabad”. Gulalai’s original video dated back to 2009 which was later taken down, but the organizers made it a pretext to incite violence against her. They also demanded closure of all those NGOs which were promoting ‘liberal’ values. Protesters chanted that ‘anti-Islam’ NGOs must be banned by the government. It is pertinent to note that social media bloggers and campaigners are under increasing threats of violence in the country. This is an emerging theme in Pakistan where liberal, progressive and secular forces are under increasing threat. It is important to mention that Mashal khan was killed in the same area, of Pakhtunkhwa by designing s similar plot against him. Gulalai Ismail, as a Pakhtun woman is as much entitled as any other Pakhtun man to choose, refuse, criticize or approve whatever she would like to, in her culture. There is no compulsion on anyone to agree with her ideology. Everyone is entitled to have an opinion and at the same time to disregard or approve of someone els’s opinion. 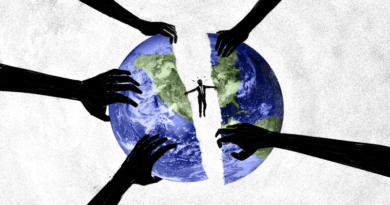 In civilized cultures, such disagreements are discussed, analyzed and diversity is celebrated. The purpose of this write-up is to let the bullies know that finally we have laws in this country which can catch them and punish them for their aggravating actions. Pakistan has recently enacted a legal system, which, on complain of the victim can start an investigation of online harassment and bullying. The bullies must spare a moment and google before starting a malicious campaign against someone. Such provocateurs can be subjected to months and even years of prison time. Even if a inciting post on social media is deleted, it still stays in the archives of Facebook and Twitter and it can be retrieved on the request of government authorities. Gulalai and other voices like her must be protected by the state against the devils of the society. Pakistan certainly needs sane voice like Gulalai and have had enough miseries at the hands of these online and offline bullies. Khaperia Yousufzai is from the land of Yousufzais, Khyber Pakhtunkhwa. Currently hiding behind a pseudonym. She writes on everything but claims to know nothing. The land that gave her birth is being ashamed. Parda is part of our religion and culture. No one has right to abuse the tradition. I have a huge respect for women who are working for rehabilitation of humanity and are up against human rights violations. But some humans have a tendency to mould and sugar coat their vicious agendas under the cover and umbrella of humanitarian efforts. There is a trust deficit between gullalai and her nation. Instead of going all berserk on her nation she must try to let them understand what she is all about. Pakistani nation has been through a humongous trauma. No one likes them. And the people who are fortunate to have access to the microphone to which the whole world listens to, have done everything possible to demonize the people of Pakistan as if everyone carries a bottle of acid and a dagger to butcher any woman they encounter. Don’t believe see for yourself the works of Malala Yousafzai, Sharmeen Chinoy and miss Gullalai.